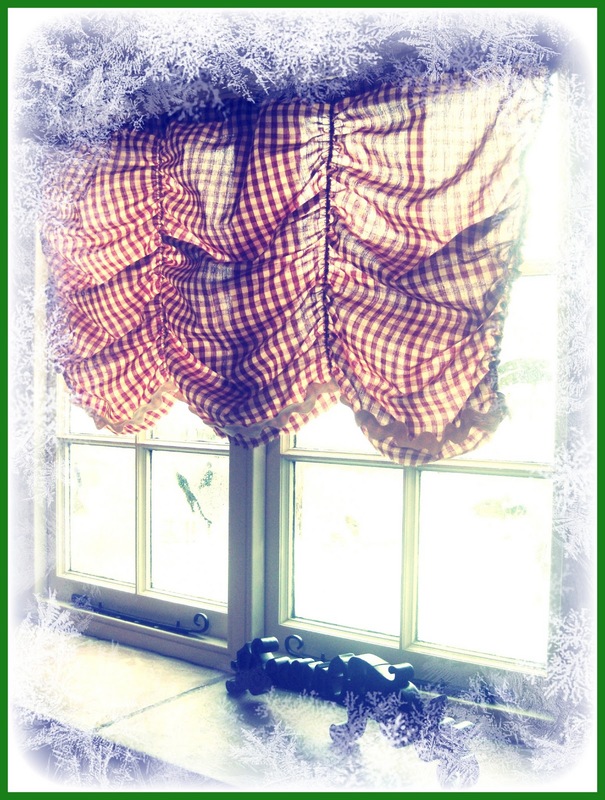 Simple DIY curtain-with cute rutching -so easy and so pretty. Shabby Chic meets English country. 1.Cut out your fabric: measure the window and add 1 inch to each side and top for seam allowance. 2. Press. Now fold in 1/4 inch on each side, press. Do this again, press. 3. 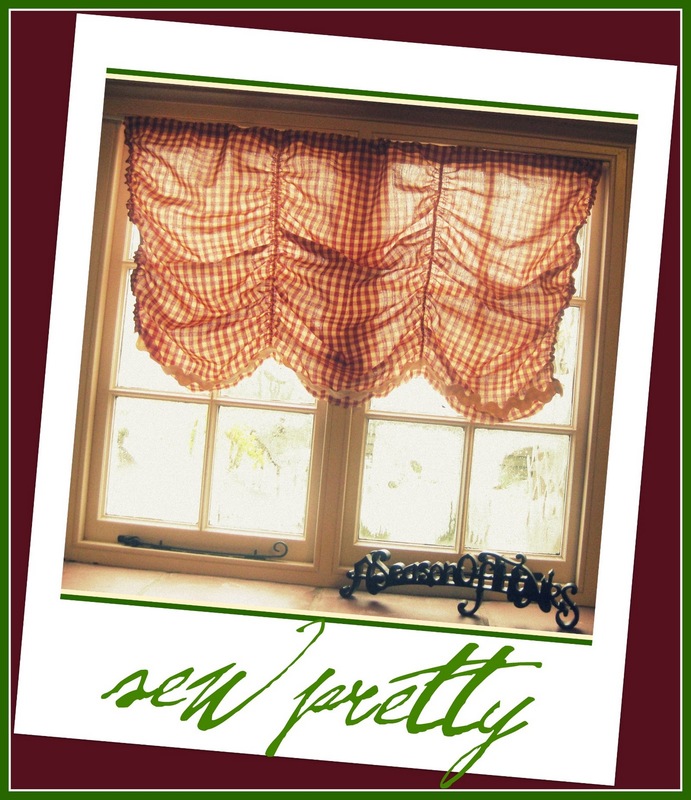 Cut 4 elastic pieces in equal length that measure 1/3 of the length of your curtain. My curtain is 33 inches in length (top to bottom) so my elastic pieces were 11 inches long. 4. Fold the top down 1/4 inch, press. Fold another 1 inch and press, now sew this seam down. 5. Take the elastic and pin it to each side of the curtain at the top. Then measure the curtain in thirds, and pin the remaining two pieces at each interval. My curtain is 43 inches wide, so my remaining two elastics are pinned at 14.3 inches from each side. You want to sew the other two pieces of elastic to the very edges of the side in order for the curtain not to DROOP. 6. Sew down the elastic as you PULL on both sides of the sewing foot. It will feel weird, but it works well. See my hand pulling it? 7. Add trim of your choice to the bottom--I went a few inches up from the very edge. 8. Finally, close up the side edges at the top AFTER you slide your curtain rod through. This is a fast and fun way to give yourself some Festive Spirit. I like mine so much I keep looking at it when I pass by the room. The simple things are often the most rewarding.